Cowan's Major Firearms and Militaria Auction will take place on April 29, 2015 and will include over 1500 exceptional fresh-to-the-market lots. Highlighted in the auction is the .36 caliber Original Colt Texas Paterson Revolver. This firearm, with a blued and case hardened finish, flared varnished walnut wood grips, a 5-shot cylinder, and a folding trigger, is estimated between $175 000-$350 000. In the Civil War category, A Zouave Uniform, Firearms, and an Archive Identified to Charles Reisser is estimated between $85,000 and $115,000. 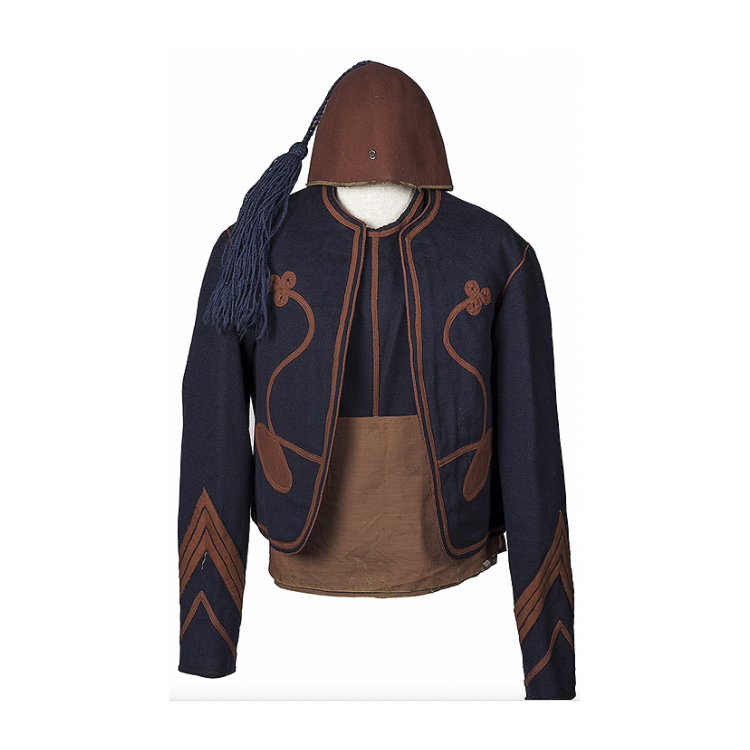 This lot comes with a dark blue wool, Algerian patterned Civil War uniform trimmed in red worsted wool braids, documents, and two firearms originally the property of Acting Orderly Sergeant Charles Reisser, known as "Hawkins Zouaves". Also in this category, Confederate Presentation Civil War Swords and Diary of Captain Daniel R. Hundley is expected to bring in between $10 000-$15 000. Estimated between $50 000-$100 000, a .44 Caliber Important Civil War Factory Inscribed Henry Rifle with a 24" octagonal barrel features a brass frame with period inscription on the left side plate, a blued finish, and the factory original 900-yard rear barrel sight mounted on the brass fram. This piece is accompanied by a folder of extensive paperwork, including copies of National Archives service and pension records concerning G.L. Febiger. Swords and Edged Weapons are also expected to perform well at this auction. A W.J. McElroy Confederate Foot Officer's Sword presented to Captian D.E. Stipes, a Confederate Ordinance Officer is estimated between $20 000-$30 000. A Presentation Civil War Cavalry Officer's Sword presented to Felix G. McCrea, "A Galvanized Yankee", is estimated between $20 000-$25 000. This sword features a 32" blade with enhanced scenes of standing flags, E. Pluribus Unum in gilt, panoply of arms, with a 5" Civil War battle scene showing artillery with huge billows of gun smoke, mounted officers, exploding shells, and wounded soldiers. Additional notable lots are the .45 Caliber Factory Engraved Colt Single Action Army Revolver with a 5.5" barrel estimated at $35 000-$70 000, the Flintlock Fowler Belonging to Anthony Van Schaik estimated at $40 000-$60 000, and the Early Raised Carved Kentucky Flintlock Rifle by H. Mauger with Engraved Horn estimated between $40 000 and $60 000.